Once you have your part number check the box that matches that number in either the Steel Tie Downs or Talon Tie Downs Categories. 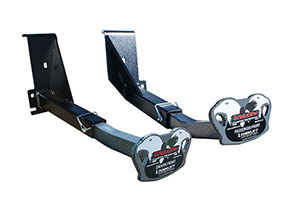 Our engineers developed these ultra high performance tie downs to handle the toughest climates and terrain. Whether you head out onto the coastal beaches or up to the mountain heights into the snow and ice where harsh chemical treatments are prevalent, nothing outperforms Talon. *Depending on the application, Talons can include a combination of stainless steel or aluminum. Talons come in sets of two.